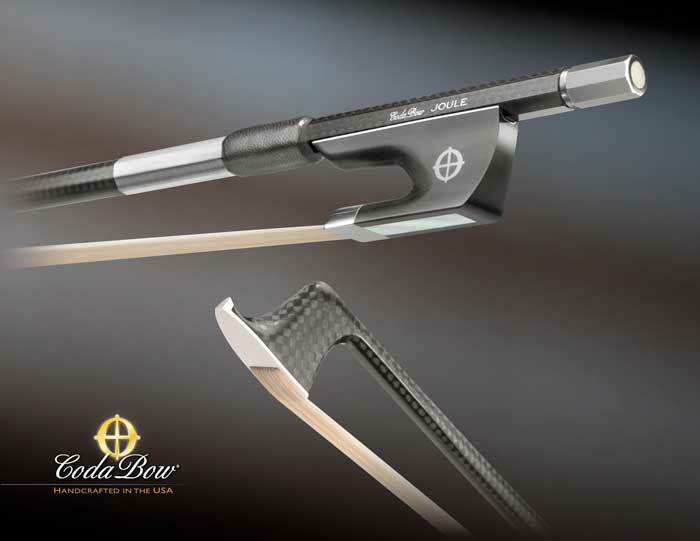 The most innovative of all the CodaBows, the Coda JOULE cello bow evokes a performance unattainable with traditional materials. 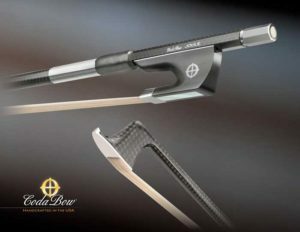 Originally it was developed exclusively for extended range and electric instruments. This breakthrough design is capable of commanding power from the lower range while still finessing color and nuance from the upper range. Compelling on both extended range and traditional instruments, the JOULE possesses an empowering energy that must be experienced to truly appreciate. Features include: graphite diamond weave, Kevlar acoustic core, turbo frog design, sterling and nickel-silver mountings, and a 10-year limited warranty.